Why use the Integrity Data ACA Affordability Calculator? Employers need to keep a close eye on employee contributions (or the relative share of plan cost reflected in employee contributions) to maintain “affordable” coverage under the Affordable Care Act (ACA) and avoid penalties. This ACA Affordability Calculator can help. Under the ACA, ALEs (Applicable Large Employers) must offer quality health insurance coverage to at least 95% of their eligible full-time employees. This coverage must also be affordable for the employee. A plan is considered affordable in 2019 if the employee’s required contribution for the lowest cost self-only health insurance option offered by the employer does not exceed 9.86% of the employee’s household income. (The affordability percentage was 9.56% in 2018 – the IRS adjusts this amount annually based on the federal poverty line.) This applies even if the employee selects a different health insurance coverage option. Just one safe harbor per plan. Employers with multiple plans can apply different safe harbors to different plans – they need not be identical. Read more about the ACA affordability safe harbors. 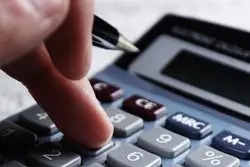 If an employee’s share of the premium for the lowest cost self-only option offered by the employer is more than 9.86% (2019) of his or her household income, the coverage is not considered affordable for that employee and the ALE member may be liable for an employer-shared responsibility penalty under Section 4980(b) if that employee obtains a premium tax credit for health coverage purchased through the marketplace. In 2019, the penalty amount will go up again – actuaries estimate the amount will be $3,750 per employee per year. Note: this is the penalty for not offering affordable coverage and that this penalty applies to all employees, not just the one that was not offered affordable coverage! Submitting your email address allows us to send your results via email. If you’d like to receive communications from us, you can sign up for ACA-related information by clicking here.